CAN-MD® works in a variety of configurations, across numerous applications. 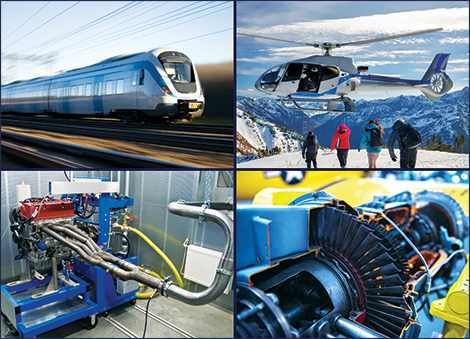 CAN-MD® is not just for automotive, industrial off road, autonomous vehicle monitoring, and industrial machinery monitoring, it extends all the way to high-end aircraft monitoring applications, both civil and military. Other digital bus-based applications are all addresssed by CAN-MD® technology. Ask us and we'll tell you how to interface CAN-MD® sensors with your own on-board diagnostic solution to create a powerful "integrated" machinery protection and diagnostic platform!